I think it is about time, that our fellow “white” brothers and sisters in Christ stand up for obvious injustice, just as they did during the Civil Rights era. Because opinions on the murders like we have seen in Florida with Trayvon Martin and Jordan Davis continue to be split along racial lines as we argue everything but the obvious, that a young teenager did not deserve to die regardless of his skin-color, because they looked suspicious or because they would not turn down their music. Can we even agree that skin color played a role? Seems to me that we cannot even do that. Do all Christians agree on gun control? Of course not, but since the Republican party is viewed as being synonymous with being a Christian (which it is NOT), the party has been allowed to be the “pro-gun” party. 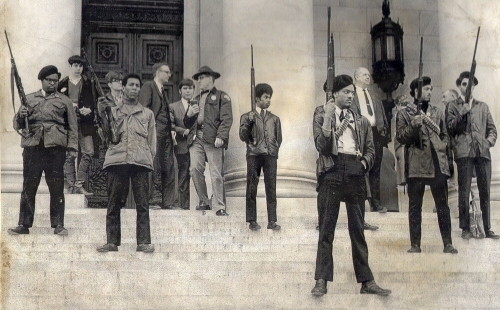 Yet, while many darker-skinned people may associate themselves with the Democratic party because of civil rights issues, they also tend to side with the Republican party on this issue in order in a desire to be armed to protect themselves from crime in their own communities as well as the from members of the dominant society (e.g. KKK). Overall, it is refreshing to hear a pastor from the dominant society speak out. As a darker-skinned Brother-in-Christ, my voice often goes unheard because my lighter-skinned brothers and sisters tend to remain silent or defend what seems to be obvious with the “Yes, but…”. Sometimes there is no, “Yes but…”. An unjust man is an abomination to the righteous, but one whose way is straight is an abomination to the wicked. He who justifies the wicked and he who condemns the righteous are both alike an abomination to the Lord. Previous CSD Thought Of The Day: Is Experience The Best Teacher?